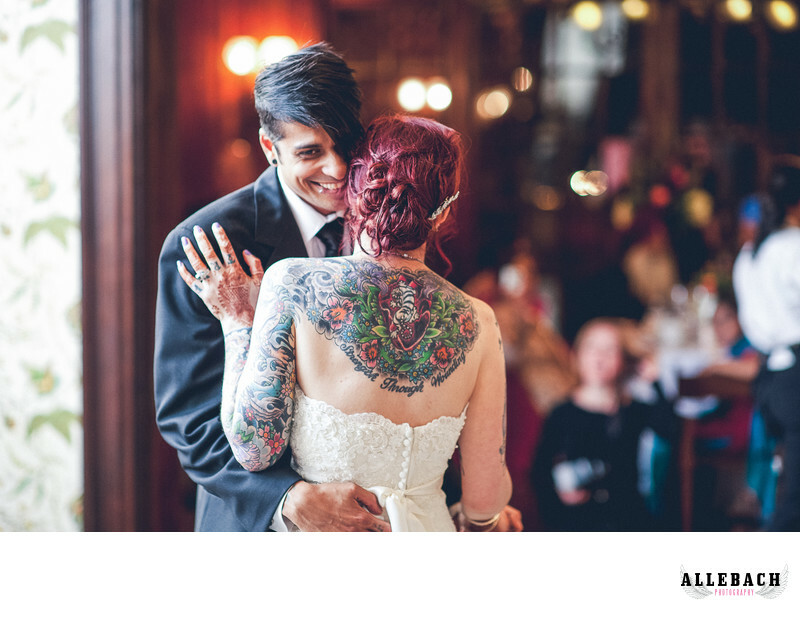 Doesn't this tattooed bride and groom look beautiful as they dance? We love tattooed brides and tatted up grooms. If you want the top Philadelphia wedding photographer to photograph your first dance, then look no further. Offbeat bride says "Book the hell out of Allebach Photography" and Inked Magazine calls us the "Tattooed Wedding Photographer." Location: 1804 Pine St, Philadelphia, PA 19103.